さだまさし さんの出番　東大寺お水取り 二月堂修二会 MR. SADAMASASHI at Todaiji-temple. Mr. "SADAMASASHI" he is a most famous singer and songwriter. 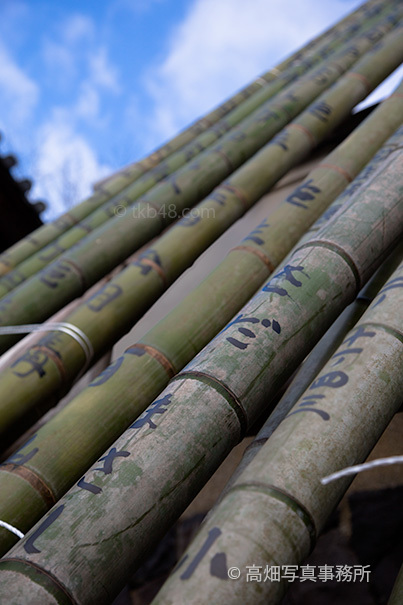 This Bamboo torch is donated by Mr."SADAMASASHI"